Discovering the nation’s hidden college-bound talent. That was the message Envision developed for Buick’s new scholarship program. Keeping in mind the program’s clear goal of reaching out to students across the nation, Envision recommended targeting high school guidance counselors. We developed a website, e-blasts and flyer to connect with the counselors and spread the word. 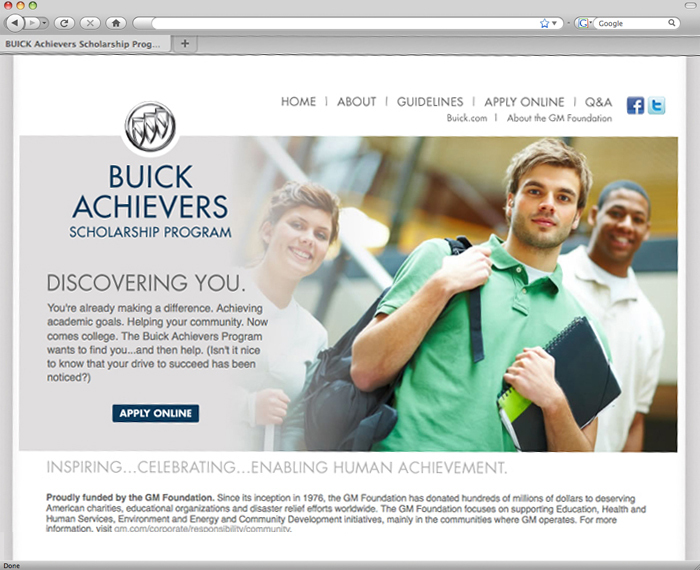 Buick’s scholarship website received over 400,000 hits and 20,000 applications.